Find a vacation home to rent in Giessen from our list of vacation rental properties. Campaya has over 18 vacation homes available in Giessen, which give you the possibility to locate a unique accommodation in Giessen which completes your check-list in search for the perfect self catering vacation apartments in Giessen or vacation villas in Giessen. 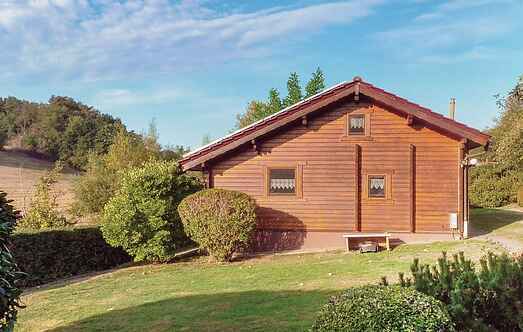 This cosy cottage in log-cabin style in the northern part of central Hesse is situated in a quiet weekend resort. This holiday home is in a block house on the southern hills of the Rothaar Mountains. Enjoy a gorgeous view of upper Lahntal from the spacious terrace. This comfortable and attractively decorated holiday apartment, not far from Vogelsberg, Germany's largest extinct volcano, is located on the 1st floor. This comfortable holiday apartment is located in Vogelsberg Mountain, the largest and closed basaltic massifs in Europe. Semi-detached house in a quiet location in Mornhausen, in the central mountain part of the Sauerland and forest Hesse.